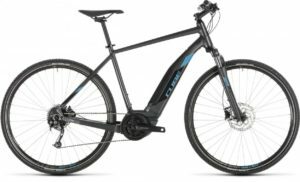 A bike built to take on the trails at speed needs to fulfil three criteria: it must be stiff, it must be light, and it must be comfortable enough to ride all day. 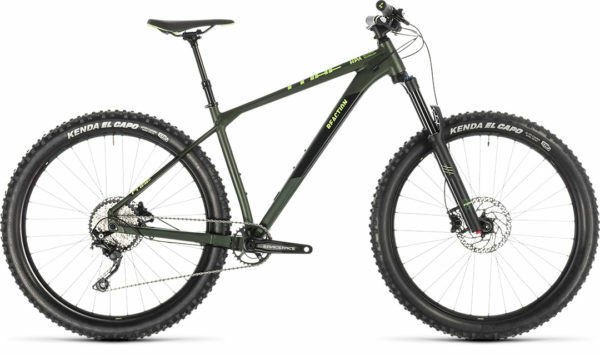 The Reaction TM’s rear thru axle, tapered head tube and complex profile, hydroformed main frame tubes give it the rigidity it needs to pedal efficiently and steer accurately. All that torsional rigidity means, of course, that it’s great at making forward progress. Triple butting shaves weight where it isn’t needed, so none of the Reaction TM’s trail-shredding ability comes at the expense of excess weight. And to improve comfort, the slender seat stays and 27.2mm seatpost help take some of the sting out of the trail, so you can ride for longer. We even routed cables internally, so your gears shift cleanly without the need for regular tweaking and fiddling. 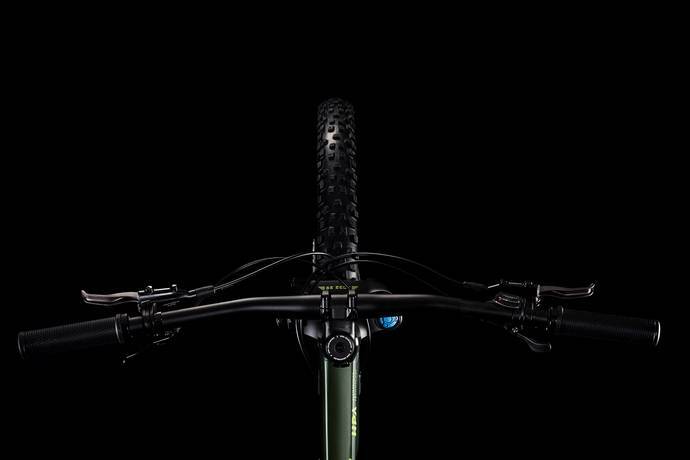 Because wouldn’t you rather be riding…? We wanted to make something a bit special with our Reaction TM. 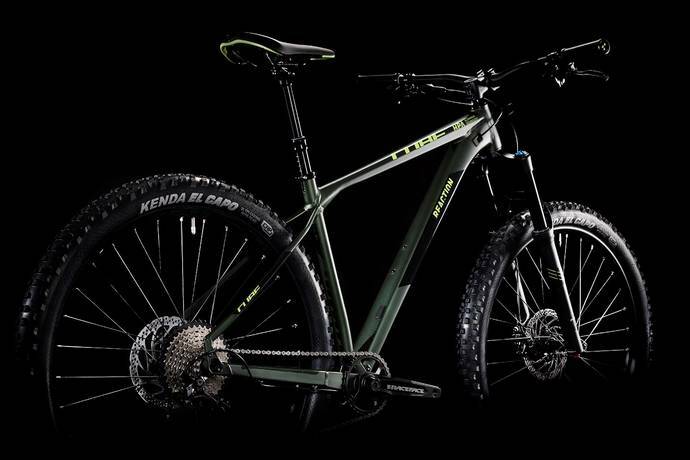 A trail-ready hardtail with an extra dose of attitude, it’s got everything you need to push your trail riding to the next level. With 2.6in tyres and an X-Fusion RC 32 fork with thru axle and 130mm travel, you can tell right away that this is a bike that means business. 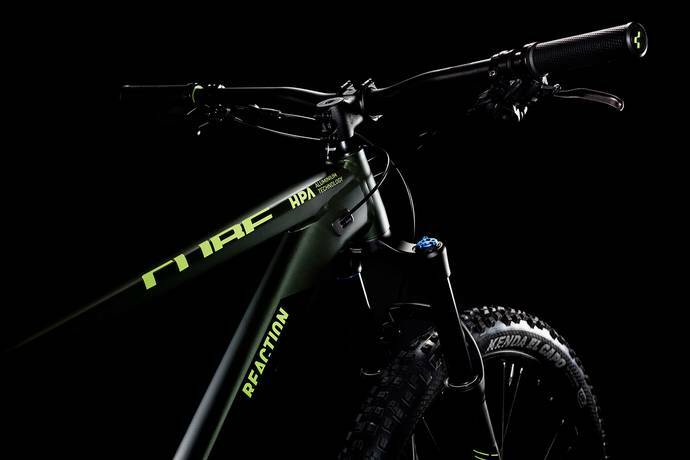 The Newmen cockpit with 760mm handlebar gives you the confidence and control you need, while powerful new Shimano MT400 hydraulic disc brakes ensure you can always scrub off speed when you need to. A Race Face Ride crankset transmits power to the rear wheel via Shimano’s reliable, slick-shifting Deore 1×10 speed transmission, and we even fitted a dropper post so that you’re ready for those pulse-quickening line choices. Bring it on, because the Reaction TM is ready.